Master Cartoon : 6 Pcs. 2 handles for easy lifting : Cooks and bakes food within 60/90 minutes. 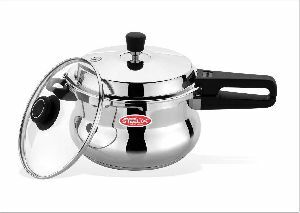 Only on of its own kind in the entire world with 4 anodized aluminum : 3 pressure cooking pots with pressure release valve. Can be used for warming food. 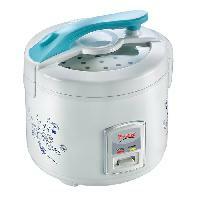 : Rice, Dal, Vegetables, Meat can be cooked easily. 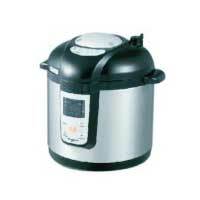 There are different types of pressure cookers available in the market, each having specific features and functions. They can be categorized separately on the basis of the material used in making them and the development they have undergone. 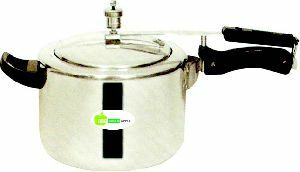 Aluminium Pressure Cooker: The body of these pressure cookers is made from aluminium and can be easily purchased from the market. These cookers are cheaper than the stainless steel ones. 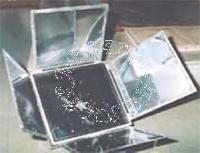 But, as aluminium gets heated very fast, it cannot withstand extreme heat and can be easily affected by it. 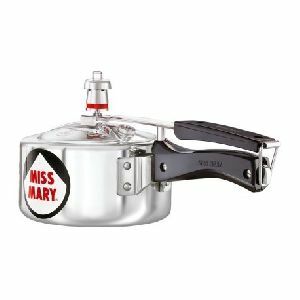 Stainless Steel Pressure Cooker: These pressure cookers are made from a strong and sturdy material called stainless steel. They can withstand extreme heat and even be handled roughly. These may be a bit expensive than the aluminium ones but would definitely be worth the extra price. 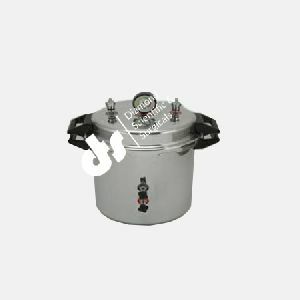 Hard Anodized Pressure Cooker: For those who want to use aluminium cookers but still want them to withstand extreme heat and pressure, hard anodized pressure cookers are the best option. 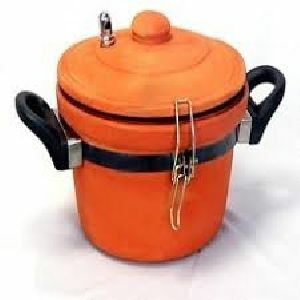 They are an evolved version of the aluminium cooker and are more durable and sturdy. 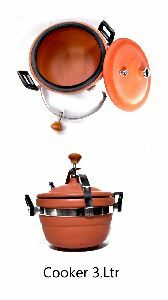 They are more expensive than aluminium cooker but features like scratch, stick, and stain resistance make them worth the price. 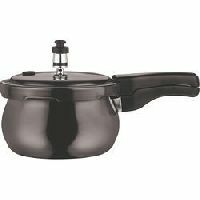 First Generation Cookers: The first generation pressure cookers are the traditional cookers that work in a single pressure mode. 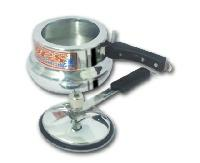 Weight-bearing valve technique is used in the operation of these cookers. 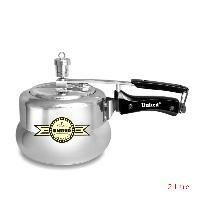 These cookers make a lot of noise and can be used for cooking a single dish at one time. 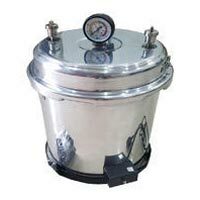 Second Generation Cookers: The second generation pressures cookers work on a bit advanced technology as compared to the first generation pressure cookers. 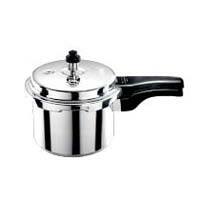 These cookers have spring loaded valves which enable the control of pressure in the cooker while cooking. 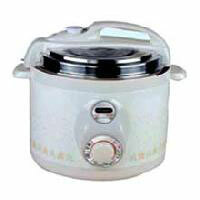 Third Generation Cookers: The third generation pressure cookers are the most technologically-advanced pressure cookers. 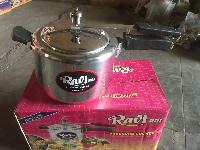 Unlike other generation cookers, these do not cook food using heat energy. Rather they work on electricity and are programmed and equipped with various microchips. While the food is inside these electric cookers, data like temperature is displayed out. 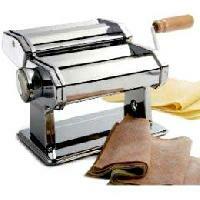 One can also control the pressure and adjust it according to the type of cooking one need to do. 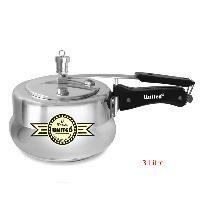 Material: The material of the pressure cooker should be the first thing to consider while buying one. 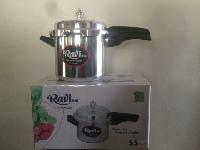 It is advised to choose a pressure cooker that is made from stainless steel as it can withstand more heat. 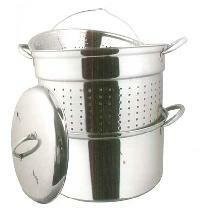 High-quality durable stainless steel is the best option. 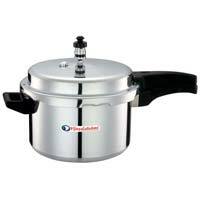 The aluminium lovers can opt for high anodized pressure cookers for add-on features. Base: The bottom of the cooker should always be checked before making a purchase. 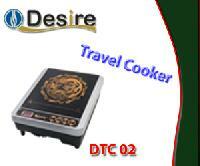 Presently, cookers with induction base are the ideal choice as they can work fine on both gas and induction. 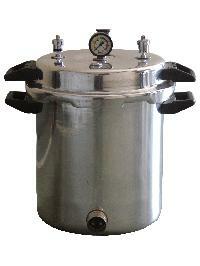 The cooker should have a triple layer base with an anti-bulge bottom for long life and even heat distribution. Shape: The shape of the cooker is another consideration. 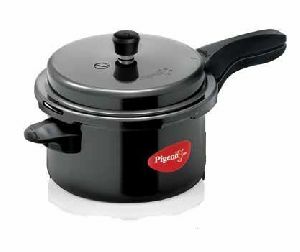 Apple-shape, handi-shape, cute-design, pressure pan, and straight-wall pressure cookers are the most popular types available in the market. 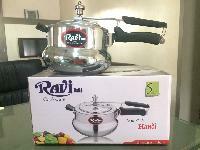 Apple shape offers higher safety, handi-shape is ideal for cooking rice, the cute design has a wider base for ease in stirring, pressure pans are shallow with a wide mouth for frying before cooking, and straight-wall shape is the regular ones shape offering great safety. 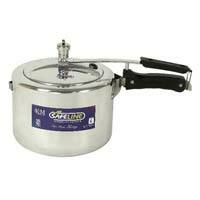 Safety Features: Check for the safety features in the pressure cooker before making a purchase. 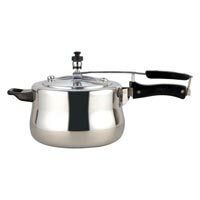 Make sure that features like locking lid, lid lip vent, and auto-shut off (for electric only) are available in the pressure cooker to avoid steam from gushing out while opening the lid. It should also have primary and secondary pressure release to allow easy release of pressure in case of blockage of any one valve. 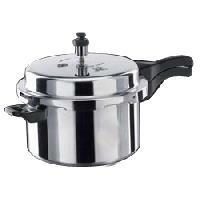 Size: Buying the right size for pressure cooker can be very tricky. 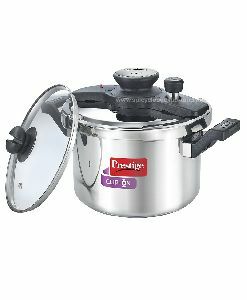 Pressure cookers can only be filled half with food that creates foam during cooking and just one third with other food items while cooking. Take the number of people for whom food is regularly cooked to calculate the size. The number of people equals the number of quarts per liter that you should buy. 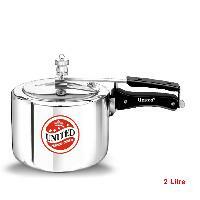 Calculate the size and get the smallest cooker that can fit your family needs for faster and better cooking. 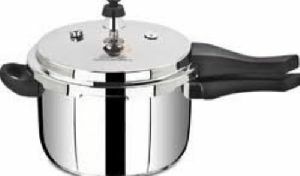 No Non-Stick Coating: The non-stick coating is a big no for pressure cookers. 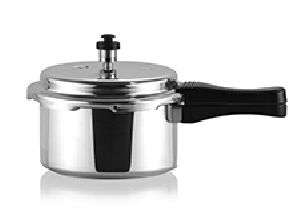 The non-stick coating does not last long and can be easily scratched off during cooking. Moreover, once scratched, it exposes the underneath aluminium, which can come in contact with the food and cause health problems. Pressure Settings: Check the pressure setting in the cooker before buying one. At the least, two pressure settings should be offered by the cooker to cook different food items in different pressure setting. The more pressure setting options you get the better. It should also have two-pressure releases to avoid any accidental steam burns or cooker bursts in case one valve is blocked due to food particles. 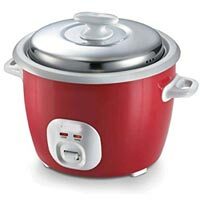 Warranty: Although pressure cookers can last for years on a stretch, still buying those that come with a warranty is always advised. 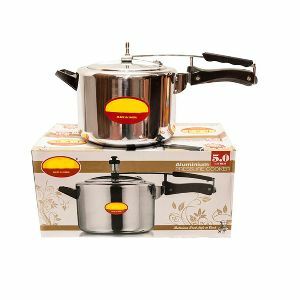 Go for a branded pressure cooker that offers at least 2 years warranty, and check for the items covered for replacement. 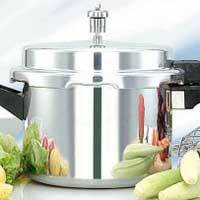 Stainless steel and aluminium are the two most commonly used material for making pressure cookers. 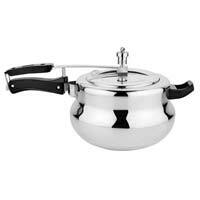 While some prefer cooking in an aluminium pressure cooker, there are many who go for stainless steel for its long life. 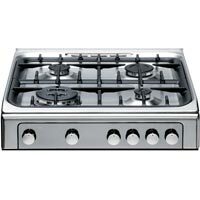 The question that arises here is, “Which is the best option, stainless steel or aluminium?” Let’s find a solution to this question by looking at the features of both the cookers and then coming to a conclusion for the best option. 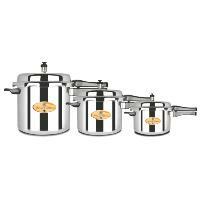 Stainless steel pressure cookers are durable and sturdy and can easily withstand extreme heat while cooking. 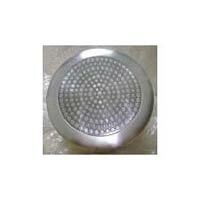 They retain much of their shine and appearance without a lot of care even after heavy use. 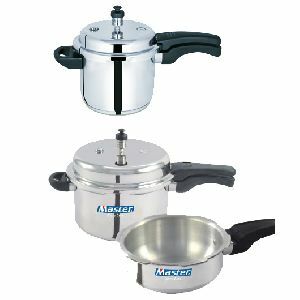 They are more suitable for heavy-duty pressure cooking due to the heaviness of stainless steel as compared to aluminium. These cookers are more expensive than the aluminium ones. 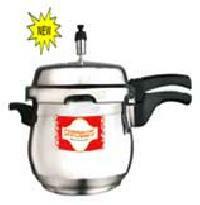 Aluminium pressure cookers are available at a comparatively lower cost. 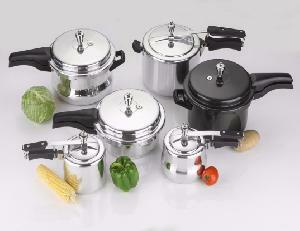 These cookers are lightweight as they are made from aluminium which makes them practical and easy to use. But this also makes them less durable and prone to warping. As aluminium is a great conductor of heat, the aluminium cookers get heated up more quickly, saving both time and energy. However, an aluminium cooker can also stain over time and reflect visible wear and tear due to the non-stainless property of aluminium. 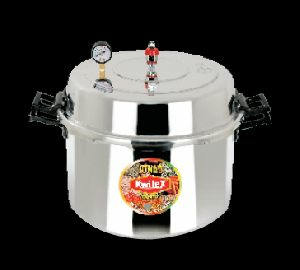 Seeing the features of both stainless steel and aluminium pressure cookers, it is clear that stainless steel pressure cookers, although expensive and heavy, are a better option for long use. 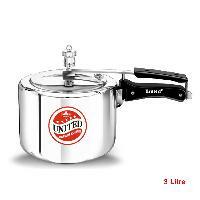 It is clear that stainless steel cookers are more durable, stain-resistant, scratch-resistant, and heavy-duty items as compared to aluminium ones. So, investing a little more money for a better cooker for long-term use is always advisable.